The Pennsylvania Botany Symposium’s inaugural meeting brought academic and amateur botanists together to share current research in the region. 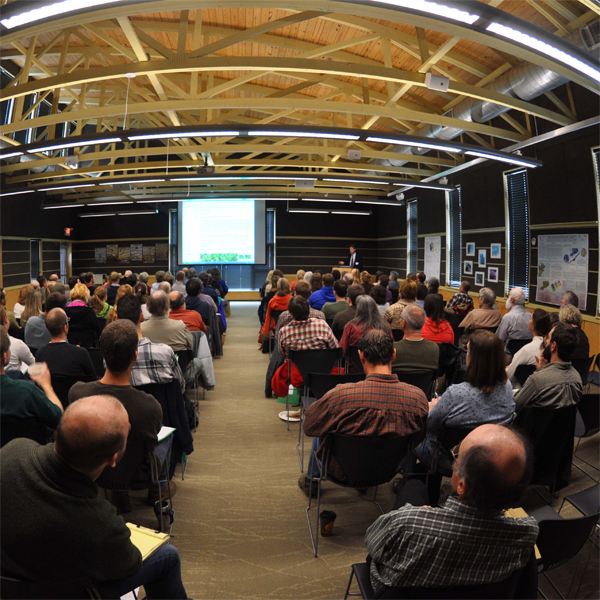 It took place at Powdermill Nature Reserve, the environmental research station of the Carnegie Museum of Natural History located in Rector, Pennsylvania, November 9–10. BSWP was one of 23 symposium sponsors. The event kicked-off with a Friday evening social on November 9th. 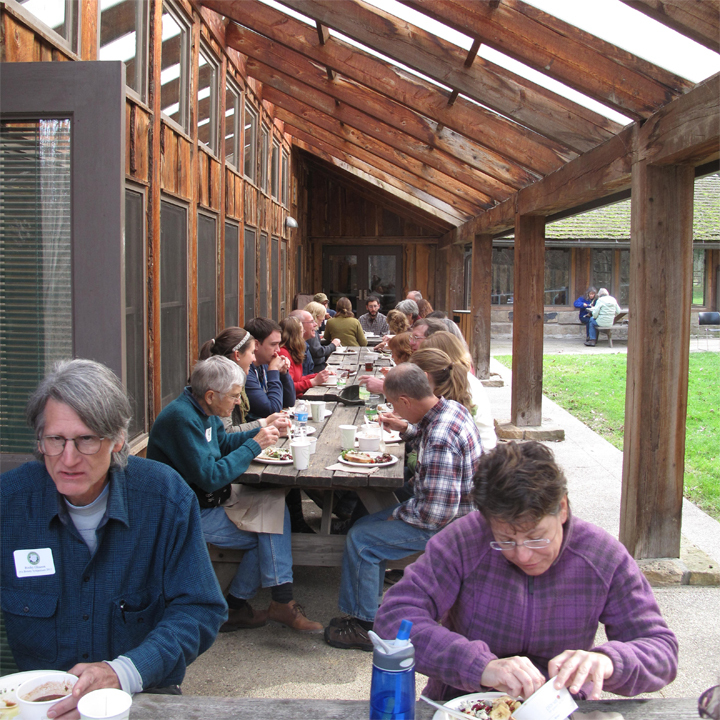 Attendees enjoyed food and beverages and socialized with fellow botanists and botanizers. Seven invited speakers presented their work at the symposium to the full house of 117 participants on Saturday. Our President Bonnie Isaac emceed the event. Scott Schuette of the Western Pennslvania conservancy led a field trip on mosses of Powdermill following the final speaker. The symposium program included the following seven speakers: Rob F. C. Naczi, Arthur J. Cronquist Curator of North American Botany, The New York Botanical Garden (Keynote); James C. Lendemer, Post-Doctoral Researcher, The New York Botanical Garden; Susan Kalisz, Professor of Evolutionary Ecology, University of Pittsburgh; James K. Bissell*, Director of Botany and Natural Areas, Cleveland Museum of Natural History; Joseph A. Isaac, Project Manager, Civil & Environmental Consultants, Inc.; Ernie Schuyler, Curator Emeritus of Botany, Academy of Natural Sciencvand Andrea T. Kramer, Executive Director, Botanic Gardens Conservation International. The symposium is a biennial event, and each one will take place in a different location. We hope to see you at the next one! * A last minute cancellation due to family illness resulted in Steve Grund presenting Jim Bissell’s presentation. Special thanks to John Wenzel and the Powdermill Nature Reserve for their generous sponsorship and in-kind contributions totaling $5,000.00. Powdermill Nature Reserve and warm weather made perfect outdoor dining conditions.